In Australia, average home sizes have shrunk to 20-year lows. More Australians are choosing medium to high-density housing than ever before, forcing designers and specifiers to make efficient use of limited space. 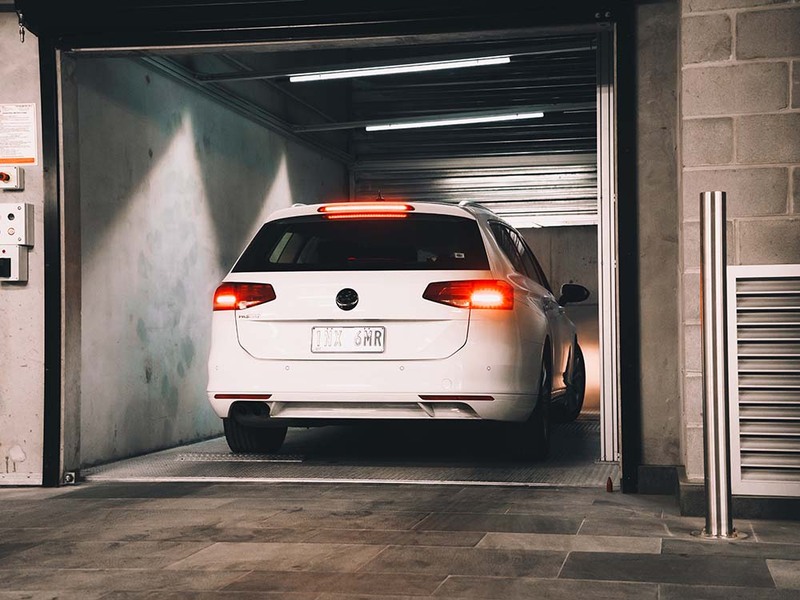 Design solutions that promote optimised space usage are in high demand, including solutions that reduce the space required by utilities such as car parking spaces and vehicle storage facilities. When compared to conventional car park solutions, car lifts offer an advanced car park solution that uses relatively less space while delivering functionality and performance. The car park conundrum: Saving space in high end residential projects is a concise analysis of the space-saving and functional benefits of car lifts when compared to conventional car park access solutions. In this whitepaper, we take a critical look at access ramps in the context of high-end residential projects where space comes at a premium. We then provide a focused discussion of the benefits offered by modern car lift solutions in terms of space usage, ease of use and safety. LevantaPARK is Australia’s market leader in designing, manufacturing and distributing specialist parking solutions for virtually any environment. Offering a wide range of products including independent and dependent car stackers, vehicle lifts, turntables and bespoke solutions, LevantaPARK’s extensive catalogue also includes solutions from leading international suppliers. All LevantaPARK solutions are backed by high quality customer service and support. Download this whitepaper to see why car lift systems are the ideal car park solution for the space-saving specifier.